New funding is being made available to community groups that want to make a difference in the towns and villages of North West Leicestershire. 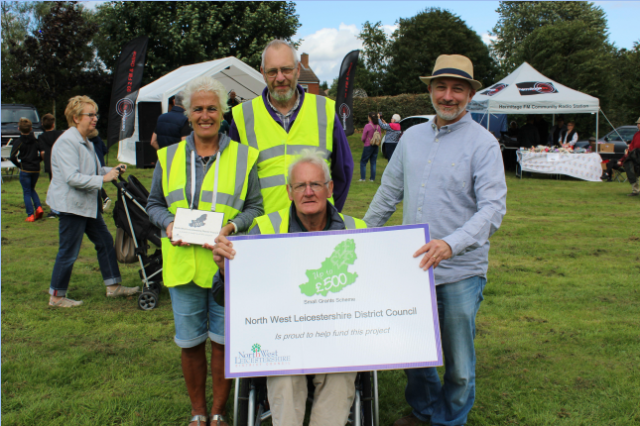 As of 1 April, three North West Leicestershire District Council (NWLDC) grant schemes reopened, all designed to boost community group projects across the district. Small Grants are for new projects or one-off expenditures for equipment or other items that help to improve a service or create an opportunity in the district. It is open to community groups in the district including uniformed groups and community sports clubs. For example, the Chilcote Village Hall Management Committee were awarded £500 on a defibrillator lifesaving package for use in the village. The Coalville Community Chest scheme is specifically available to encourage community activities, initiatives and events within the wards of Coalville, Bardon, Snibston, Thringstone and Greenhill. Agar Nook Community Association was previously granted £250 to hold a family sports day in the summer holidays. The Green Grant funding is for environmentally-focused projects relating to climate change, energy efficiency, community orchards, litter picking, and similar. It is open to all groups and organisations in the district, including parish councils. Previously, New Lount Bowling Club was awarded £500 towards energy efficient UPVC double glazing to replace the old rotting single glazed windows at their club. Paul Sanders, Head of Community Services at NWLDC, said: “There are lots of groups doing brilliant work in our district and we feel they should have the opportunity for a funding boost. “Hundreds of people in the community benefit from the work of these community groups and we want to see them grow and thrive. “Through the Coalville Community Chest there is an extra opportunity for Coalville groups to apply for cash as we prioritise regeneration in this part of the district. Kegworth Community Library received £240 from the Small Grant Scheme to enable them to buy board games, colouring books, crayons and pens for afternoon activities. This equipment is helping the library to support the Kegworth community, hosting bingo afternoons for older residents and giving them the chance to meet new people. There are lots of great examples of grants being put to excellent use, and community groups that might benefit from the latest round of funding are encouraged to apply.